It appears that Pedro Pascal is indeed playing Maxwell Lord in Wonder Woman 1984. DC fans have speculated that Pascal was Lord ever since Patty Jenkins shared the first image of the actor on the set of the sequel. Lord is a supervillain in the comics and he has gone up against Diana Prince and the Justice League in the past. The character is a shrewd businessman and later gained his super powers after a Gene Bomb explosion. Prince actually ended up killing Lord in the comics, famously snapping his neck after he took control of Superman's mind. Will we see that iconic neck snap in Wonder Woman 1984? 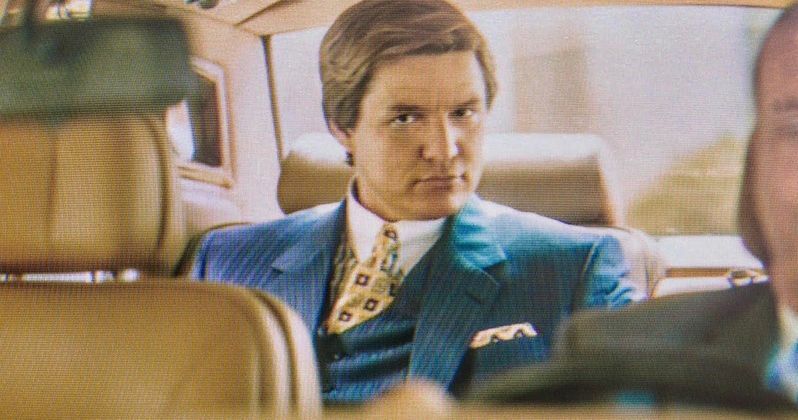 According to sources close to the production of Wonder Woman 1984, Pedro Pascal is Maxwell Lord, but there have been some changes to the character for his big screen debut. It's been said that he will be more "hammy" than he was portrayed in the comics and he will not have any superpowers, which means that we more than likely will not see Diana Prince snap his neck. With that being said, it is rumored that Lord will play a major role in the resurrection of Steve Trevor, but specifics are unclear. In addition, Maxwell Lord will reportedly try to become a god in Wonder Woman 1984, which could be where those initial god rumors stemmed from. Back when it was announced that Pedro Pascal was involved in the project, DC fans thought that he could be playing an undercover god, but that isn't the case. Instead, Lord will be an "eccentric and determined man" from the comics, but "with a hint of Wonder Woman mysticism added." This should play out in an interesting way, especially with Kristen Wiig's Cheetah in the mix as well. It was only a matter of time before some real information about Wonder Woman 1984 was revealed. The sequel has been in production since June of this year, and several behind-the-scenes images were leaked online while they were filming in the Washington DC area. Director Patty Jenkins and star Gal Gadot tried to get ahead of the leaks by providing official looks from the set, but there have continued to be leaks. With that being said, there's still a lot about the sequel that is unknown, and we have yet to see Kristen Wiig in her full Cheetah makeup. Wonder Woman 1984 will open in theaters on November 1st, 2019. It's believed that production will wrap within the next handful of weeks, but that has yet to be officially confirmed. For now, it looks like Pedro Pascal will be playing a new version of Maxwell Lord on the big screen, which should be pretty exciting for DC fans, even if we don't get to see Wonder Woman snap his neck. The Pedro Pascal news was first reported by Super Bro Movies.